The HP Color LaserJet CP4525xh Printer is easy to manage and ideal for the enterprise customer. Designed for the performance-oriented customer who wants to share a robust color printer across large work groups, the HP CC495A#BGJ printer includes enterprise networking capabilities, high-capacity paper handling and advanced security features. 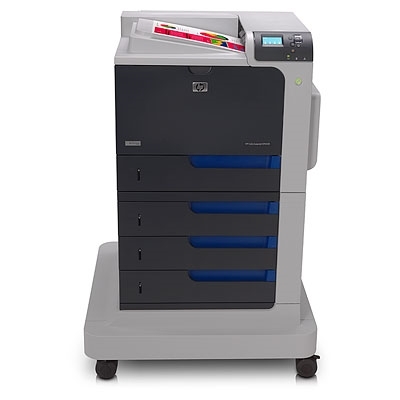 The HP Color LaserJet Enterprise CP4520 Printer series increases usability with advanced media sensing and a four-line color control panel with auto-navigational help, while increasing office productivity and efficiency. The HP Color LaserJet CP4525xh Printer allows you to print like a professional while minimizing cost. 26.1" x 25.7" x 38.0"